In a large bowl, combine flour, sugar, baking powder, and salt. In a medium-sized bowl, whisk together egg and milk until smooth. Stir in melted butter and vanilla. Add wet ingredients to dry ingredients and mix until just combined; be sure not to over-mix. Grease a skillet with oil, and heat over medium-low heat. Spoon batter onto the skillet when it is hot, forming any size pancake you prefer. 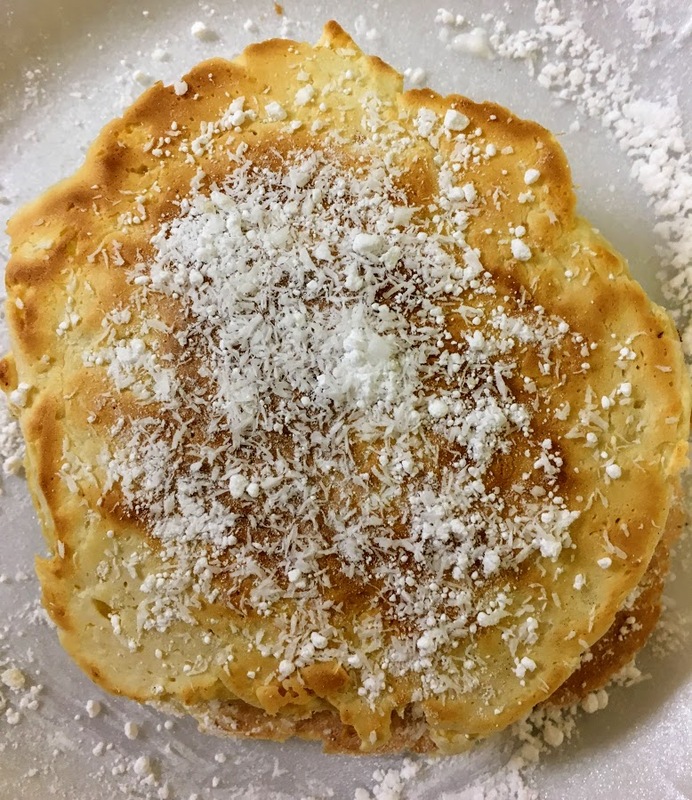 Sprinkle the tops of each pancake with shredded coconut. When bubbles are visible in the batter and the bottoms of the pancakes turn golden brown, flip over and sprinkle the other side with coconut. Cook until the other side just begins to turn brown. 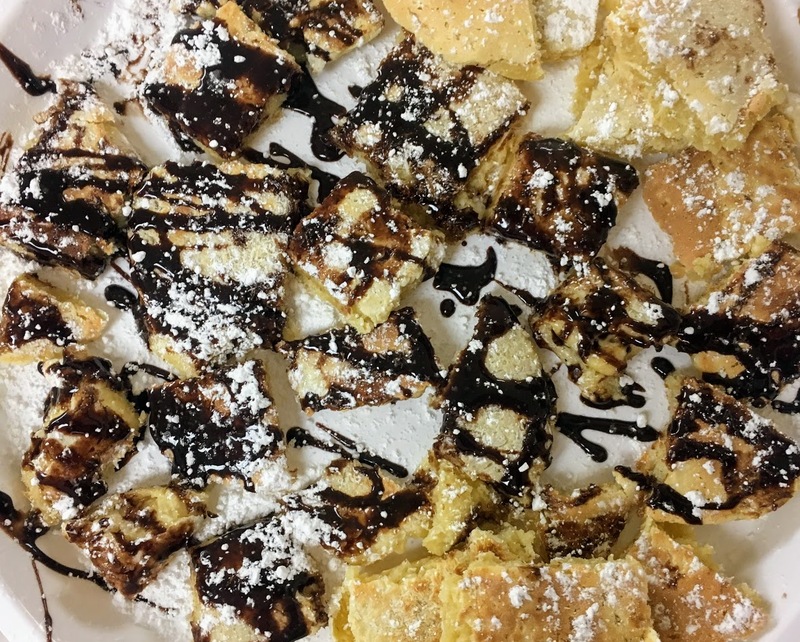 Dust with powdered sugar or drizzle with chocolate sauce. Cut into bite-size pieces if serving for dessert.